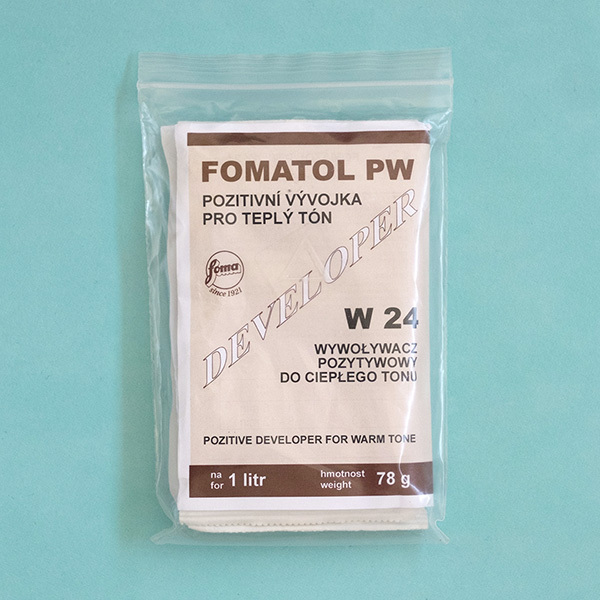 Fomatol PW Print Developer is a powder paper developer. Specifically designed for use with the Foma Fomatone MG darkroom papers. This developer features slower developing, lower speed utilization and a warm image tone. This pack will make 1 litre of Fomatol PW Print Developer stock solution. Always make up the developer stock solution to the volume stated on the pack. Do not attempt to prepare smaller quantities by using fractional parts of powder. As it is a powder, you dilute it to make a stock solution first. 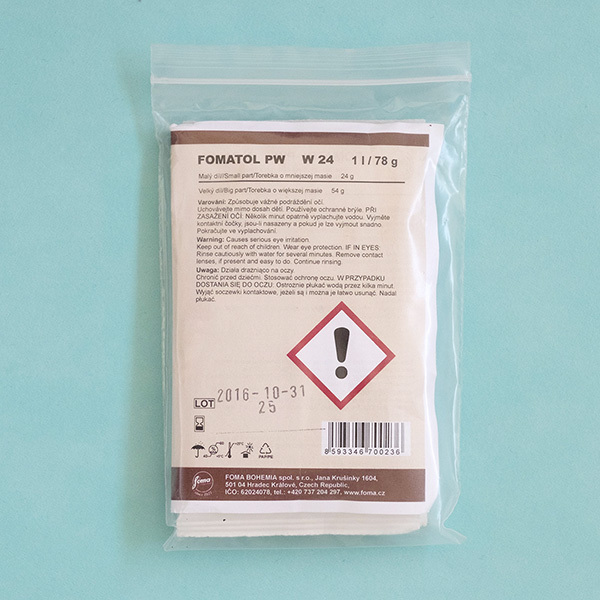 To prepare Fomatol P stock, dissolve the contents of the larger bag in 700ml of warm water at about 40ºC. Stir until the powder has dissolved. Then continue to stir, while gradually adding the contents of the smaller bag. Keep stirring until no more powder dissolves. Add 300ml water to make up 1 litre of developer. Allow this to cool to room temperature, then it is then ready to use. Store in a tightly capped bottle until needed for use. Fomatol PW can either be used as a stock solution, or it can be diluted further with water for an increased warm tone effect. You can dilute 1+1. That means one part stock solution to one part water. Or you can dilute 1+3. So that is one part stock solution to three parts water. Prepare these working solutions from the stock solution directly before they are needed. Always make sure you mix together thoroughly before use. Adjust developing times accordingly. Have a look at the other Black And White Paper Developers we have in stock.